Server busy? You Need to get in touch? Auto Call – Auto Redial lets you redial numbers automatically. Set the number, and the time between calls, and let your phone dial automatically for you. Use it to get on-the-air of your favorite radio show, or win tickets to shows and sporting events or win your chance in connecting to a busy Call Center. 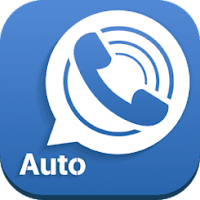 When encountering a busy signal, hang up or need to re-dial, " Auto Call – Auto Redial " will help you redial automatically. Train ticket bookings, restaurant reservations, and hotlines are always difficult to get through. This app is minimizing the redialing trouble, and will greatly improve the chances of getting through! 1) Start automatic redial: Enter the number (or open the phone contacts), click the green dial button on the screen, and then just wait quietly for getting through! 2) End automatic redial: when you want to end the call, just click the red End button. 3) Redial interval: redial interval can be set into 3 seconds / 5 seconds / 10 seconds in the menu. The default interval is 3 seconds. Your suggestions and requests will be highly appreciated, please make comment in market or email us.